MONTREAL -- Canada's counter-proposals on controversial American demands for a renewed NAFTA have not been rejected out of hand by U.S. Trade Representative Robert Lighthizer, The Canadian Press has learned. 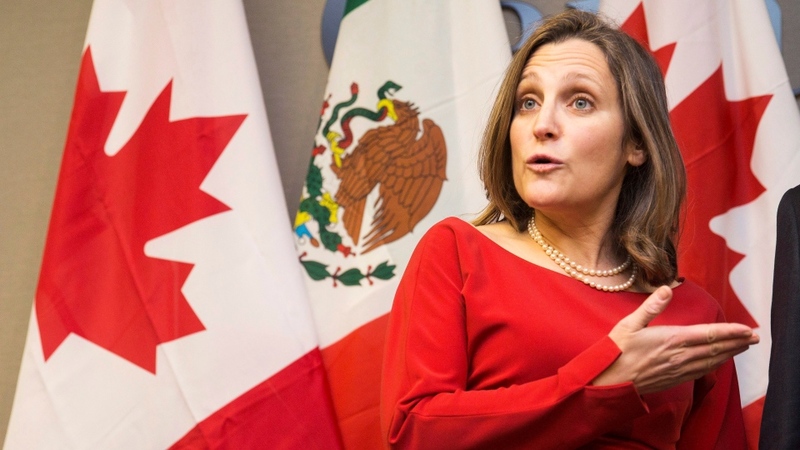 Foreign Affairs Minister Chrystia Freeland met Thursday with Lighthizer in Davos, Switzerland, and a well-placed source said they discussed the U.S. demands on continental content requirements for automobiles, NAFTA's dispute resolution mechanisms, and for a sunset clause. The source emphasized that it's too soon to assess what that means. Freeland's conversation with her American NAFTA counterpart occurred on the sidelines of the World Economic Forum meeting in Davos. And it came ahead of their much-anticipated meeting Monday in Montreal with their Mexican counterpart, Ildefonso Guajardo, which will close the pivotal sixth round of NAFTA talks here. NAFTA negotiators in Montreal are mired in talks focused on breaking new ground on controversial U.S. proposals. Prime Minister Justin Trudeau told reporters in Davos that he agrees with recent comments by U.S. Vice-President Mike Pence -- that there's a possibility of a win-win-win scenario for all three NAFTA countries. Trudeau said a deal is "eminently possible." 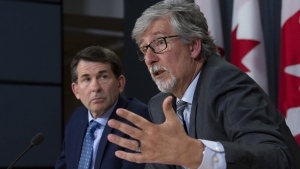 "Obviously, there are always opportunities to improve a deal that is close to 25 years old and that's what we have undertaken diligently and responsibly," Trudeau said. "I know we are going to be able to get there and I am going to keep repeating that as often as I can because so many jobs in Canada, in the United States, in our three countries rely on the smooth flow of goods and services back and forth across our borders."